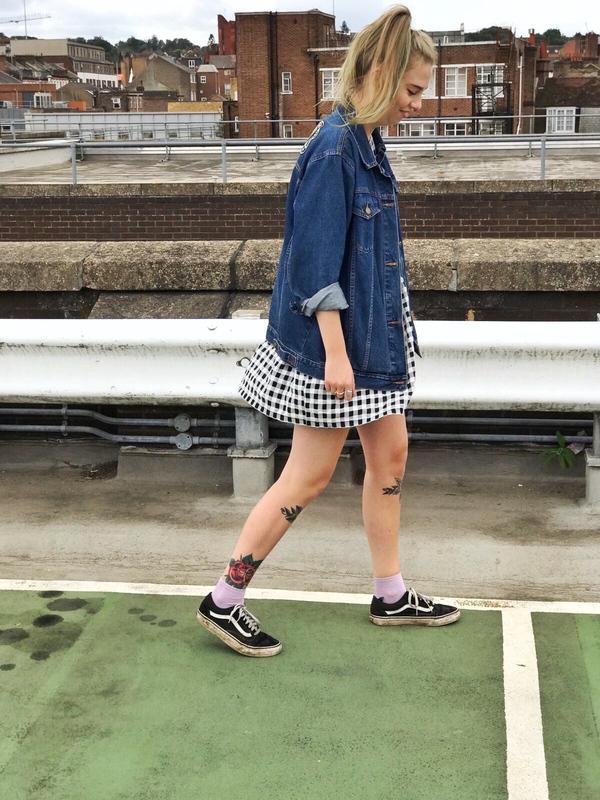 The ebay obsession hasn't stopped, I bought this adorable gingham dress for around £10! 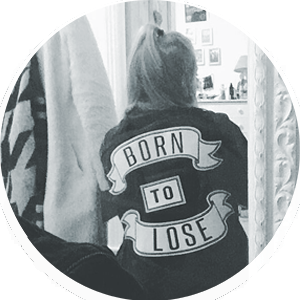 Defo check Ebay out if you are trying to save your pennies but still love to buy clothes hah. 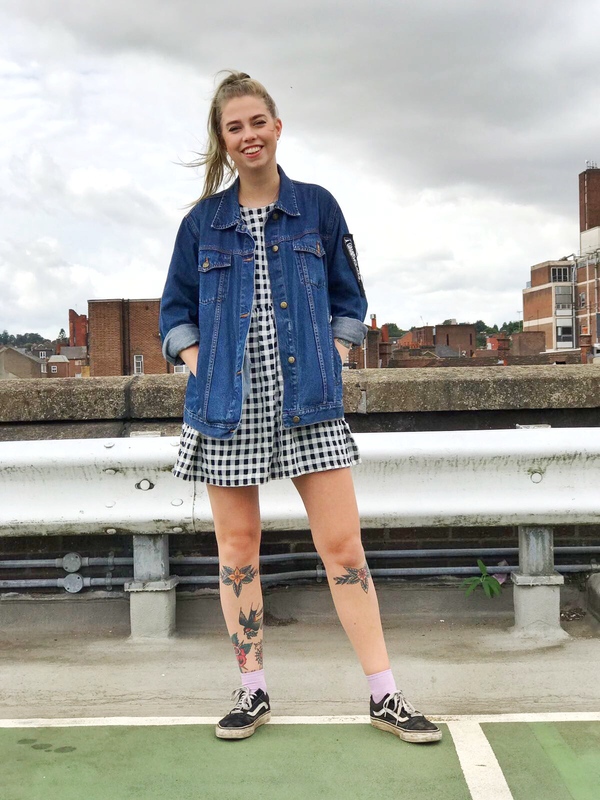 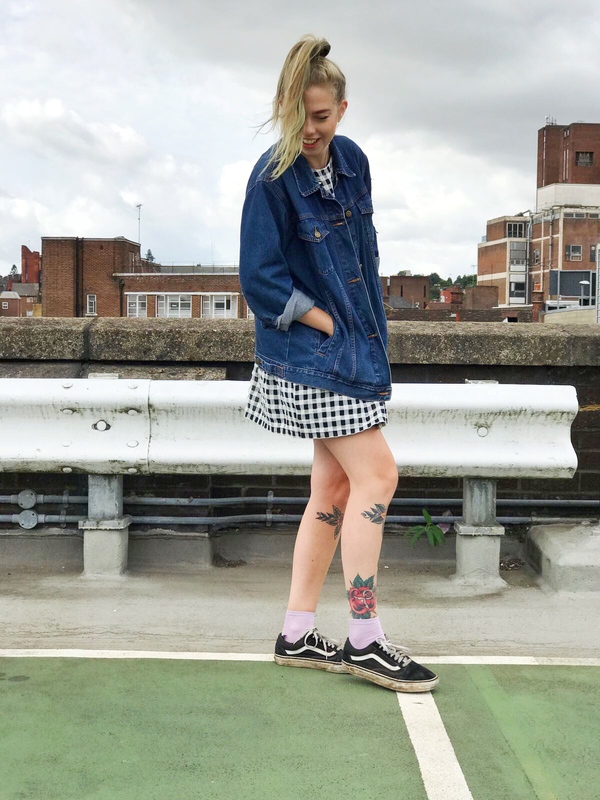 I have worn this dress with flatforms and a leather jacket to make it more dressy, but this day I was just getting tattooed and mooching around the shops so dressed it down with my denim jacket and Vans which I think looks really cute! 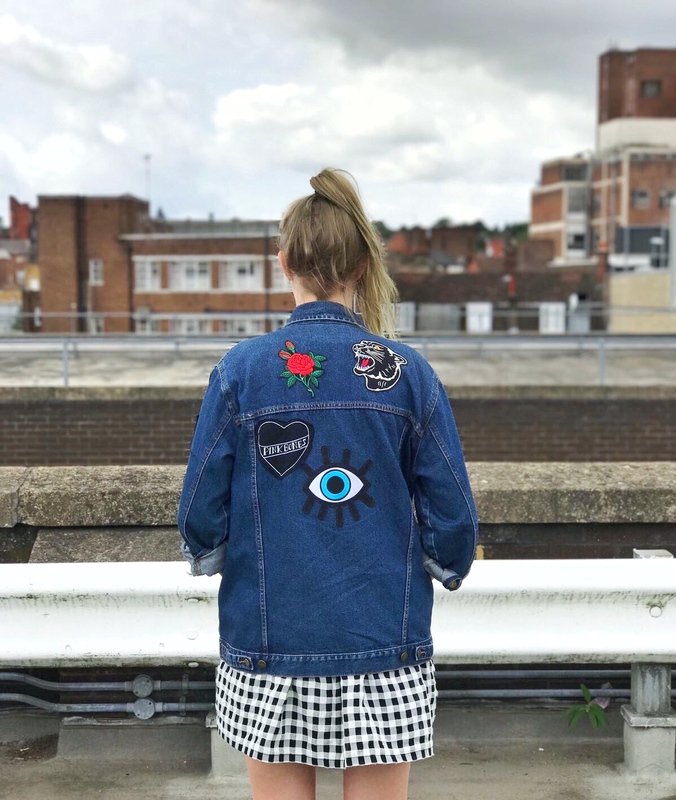 I am trying to collect more patches to add to my jacket so if you know any cute etsy stores or artists who make patches let me know!